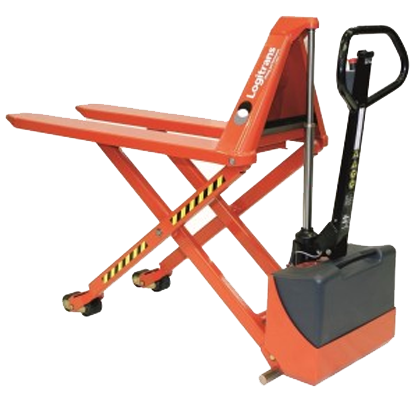 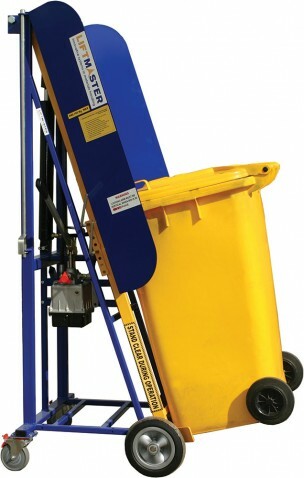 The MAVERick Equipment range of standard wheelie bin tippers and lifters are the best and easiest solution for emptying bins and drums up to almost any height. 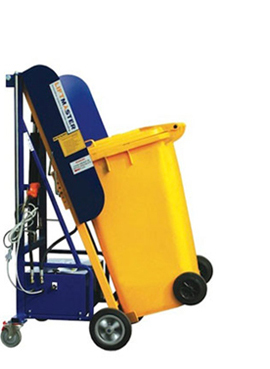 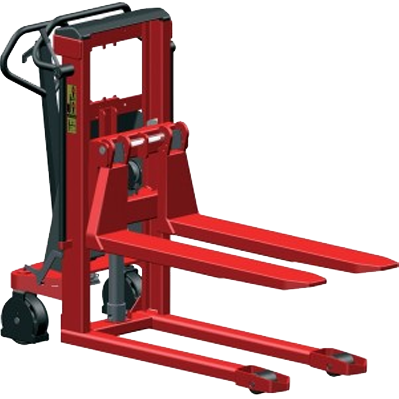 The tipping action of a of the units is very efficient, saving both time as well as physical exertion. 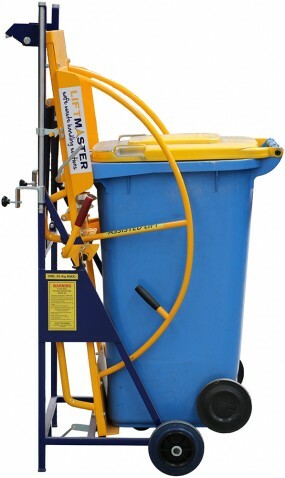 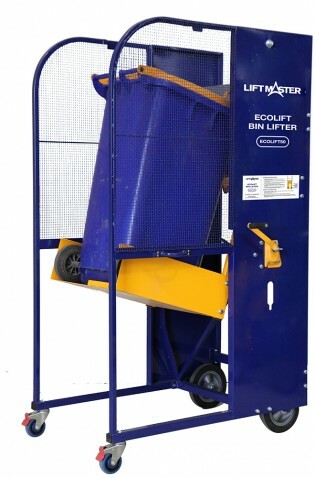 These bin lifters are highly versatile and can be used in numerous applications, ranging from emptying rubbish bins into skips to pouring food ingredients into hoppers or mixers. 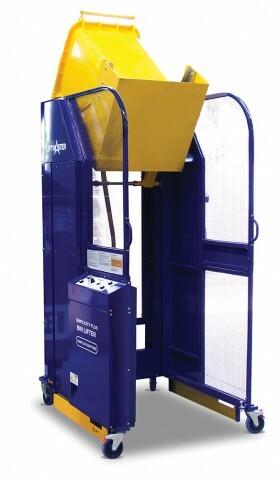 No matter what your needs may entail, MAVERick bin tippers have proven to be safe, reliable and economical to operate over a long period of time. 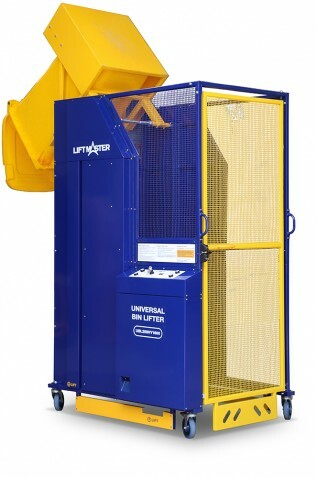 We offer many different variants depending on your applicaiton ranging from manually operated units all the way up to fully powered and with safety cages to protect the operators. 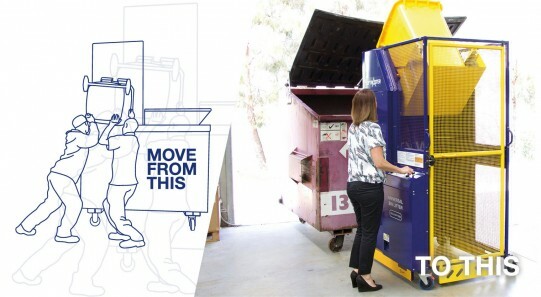 Call us today to discuss your application further.